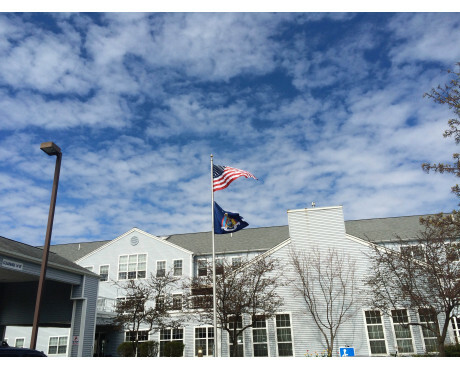 Flagpoles are key when it comes to properly displaying flags! Whether you're looking to display a flag in front of your home or business, you're setting up an indoor flag display at a school or office, or you're searching for a way to display a flag on your car or other vehicle, we've got you covered. 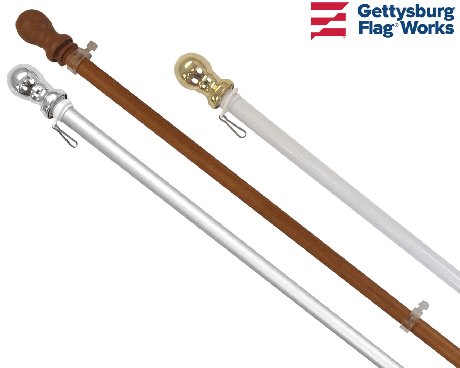 Gettysburg Flag Works offers a variety of flagpoles for residential, commercial, and government installations. We can deliver to anywhere in the world allowed by our current export laws. Flags are a great way to display pride in your country, the armed services, and many other things. However, even though the flags get all the attention, without a flagpole to hold it up, a flag is just a piece of fabric. 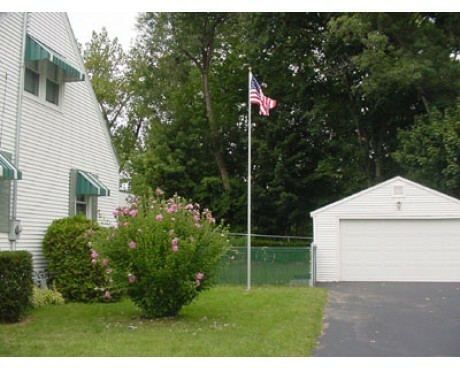 If you're hoping to display your flag properly and prominently, a flagpole is a worthwhile investment. Add a flagpole to your house, a sectional or one piece to your yard, or an indoor display to your office or lobby, to get the full effect from one of our high-quality flags. 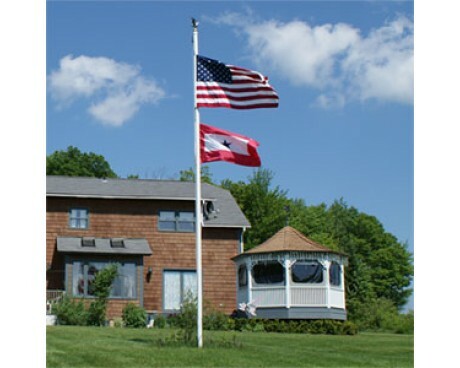 If you're looking to buy a flagpole for a house or residence, we have options in aluminum, fiberglass, steel and wood. 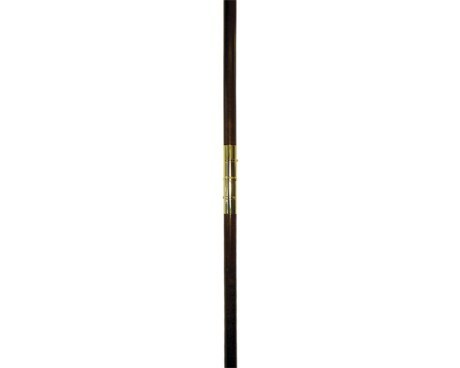 One of our most popular house-mounted poles is the aluminum spinning pole. It comes in two pieces and, when fitted together, the top section is able to spin on ball bearings. This allows it to move with the wind, and helps prevent the flag from wrapping around the flagpole. 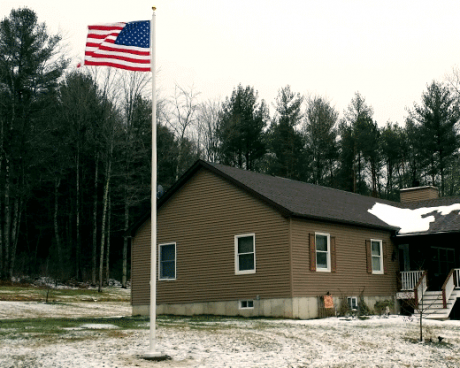 You can shop our full selection of house-mounted flagpoles here. 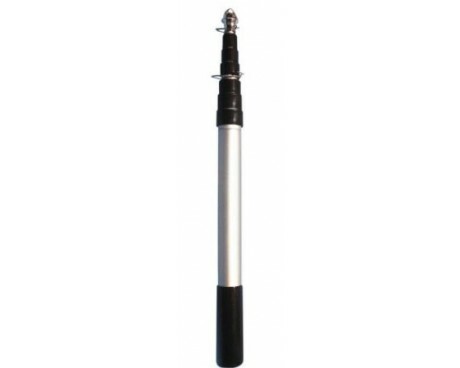 If you want something a bit larger and a bit more permanent, we offer aluminum and fiberglass in-ground flag poles. These poles can come in one piece or as sectional flagpoles. The sectional poles are about 20’ high, while one-piece poles are available in 5’ increments from 15’ up to 100’. 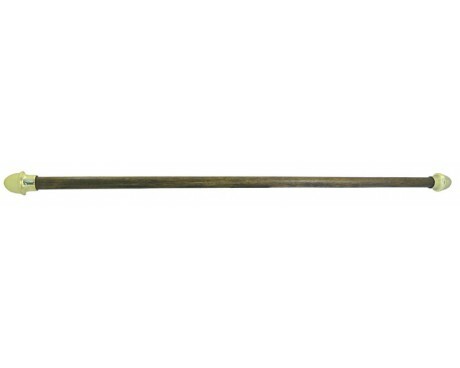 View our full collection of in-ground flagpoles here. 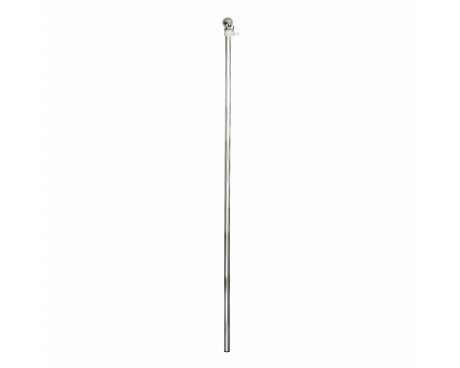 Commercial flagpoles are larger in exposed height, diameter, and wall thickness. This allows for higher wind resistance. Commercial poles start at 20 feet and go to over 130'. Theses flagpoles are available in aluminum, fiberglass, stainless steel, and steel. Aluminum and fiberglass are typically available up to 80'. 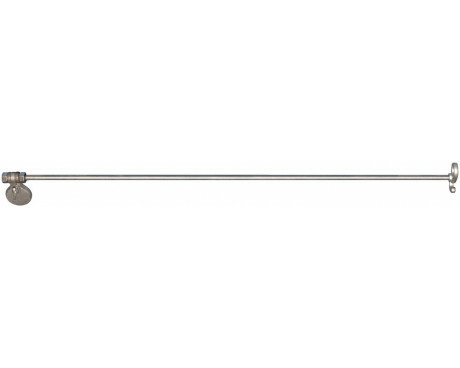 Above 80', steel or stainless steel flag poles are used. The wall thickness and diameter are selected to provide the required wind resistance for the intended application and installation location. 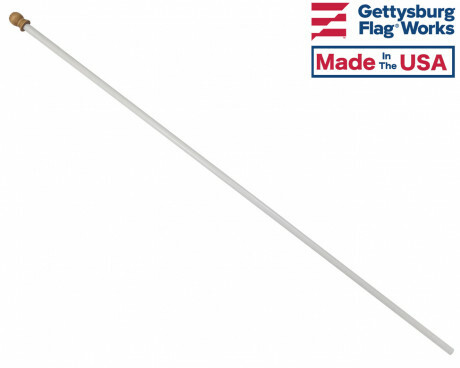 Most commercial aluminum flag poles have an anodized or satin finish. 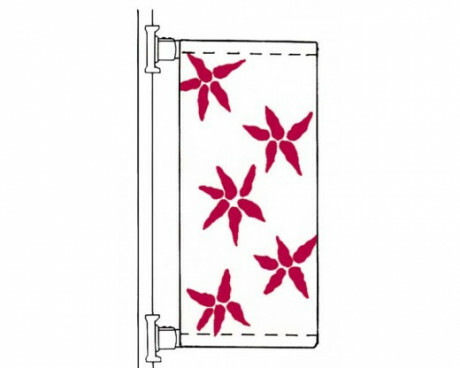 Architects often specify custom colors and these are recommended for the powder coat finish. Interested in a commercial flagpole? 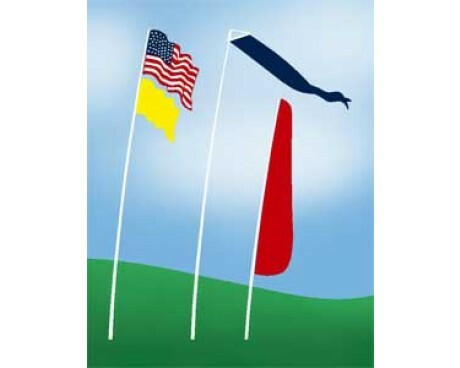 View our full collection of commercial flagpoles here. Have questions about which one might work best for your specific application? Feel free to call us at 1-888-697-3524 and we'd be happy to point you in the right direction. Want to liven up your lobby or conference room? 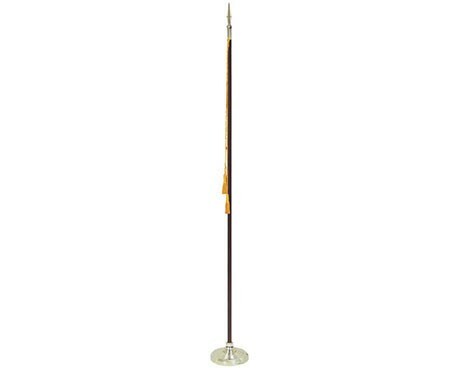 An indoor flag pole is just the way to add a stately elegance to any space. 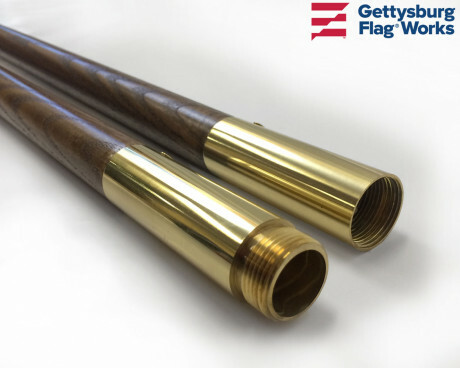 Gettysburg Flag Works offers indoor flagpoles in oak, mahogany, and aluminum. 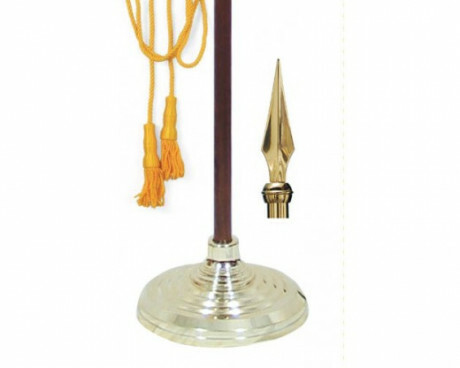 In addition to individual, we also offer complete sets which include an indoor flag pole with either a spear or eagle topper, a base, as well as cord and tassel. 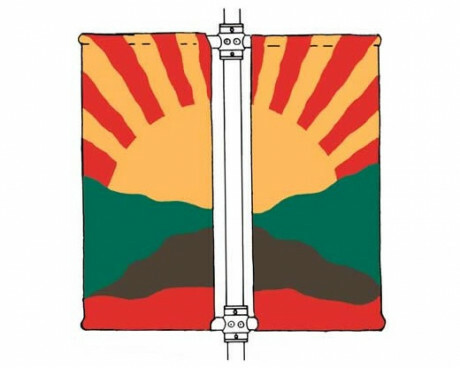 Browse our full selection of indoor and parade flagpoles here. Curious about how to set up an indoor flag display? Check out the video below for valuable insight on how to properly display flags indoors. 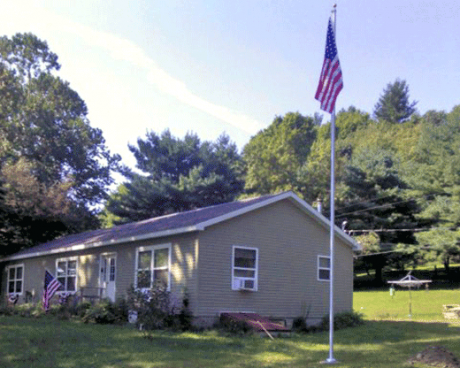 Flagpoles are typically installed in a concrete base. 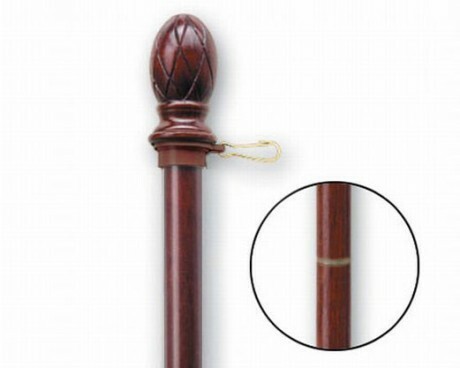 The base increases in size with the height, diameter and increased weight of the pole. Typically, the concrete base is four times the diameter of the flagpole, and 10 percent of the height. While some flagpoles can be installed by customers, other flagpoles require professional installation. This will likely depend on which flagpole you've chosen. Give us a call at 1-888-697-3524 to learn more about what's involved in flagpole installation and to find out about the flagpole installation services we offer. 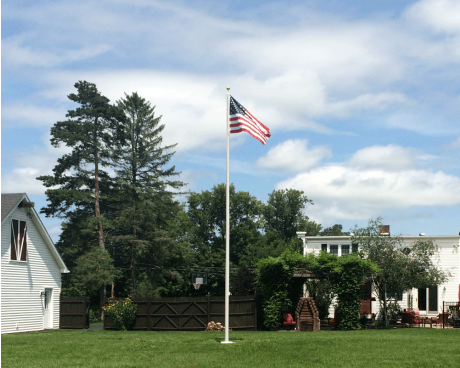 Planning to purchase a flagpole? You may want to order some additional hardware, including clips and a halyard, to complete your display! 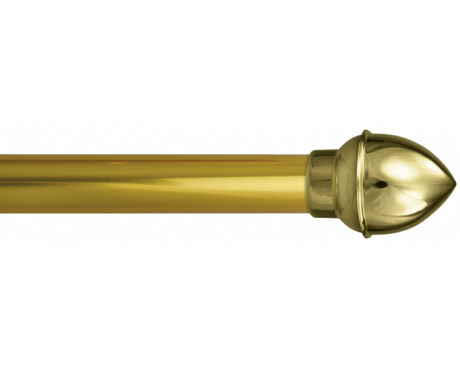 Shop our wide selection of flagpole hardware and accessories today! Not quite sure what you need? Contact a member of our team today and we can point you in the right direction! 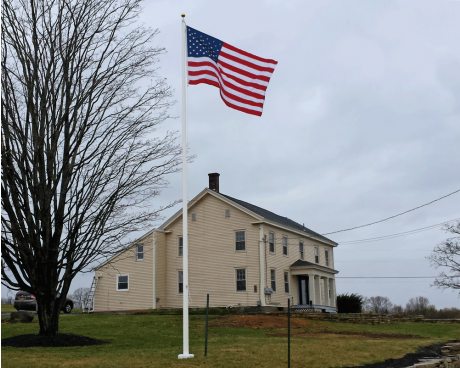 Looking for something to display on that new flag pole and don't want to settle for just any old flag? Want to set yourself apart and be the talk of the town by flying something unique? 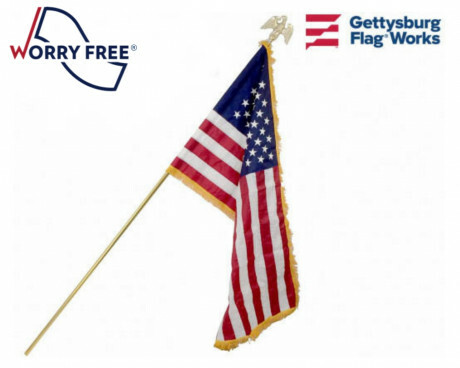 Work with Gettysburg Flag Works to develop a custom flag that we will print just for you. If you have an idea for a custom flag, contact us online today and we can get to work making your vision a reality!